In January 2016, the progressive oriented Arizona Center for Economic Progress formed under the umbrella of the Children’s Action Alliance. Located in central Phoenix, this organization, with ties to the Center on Budget and Policy Priorities and Ford, Anne E. Casey and Arizona Foundations, has already impacted the public policy arena with Democrats (and some Republicans) like Senate Minority Leader Steve Farley and other Legislative District Candidates drawing on the progressive ideas and solutions championed by the Center’s 15 member staff. 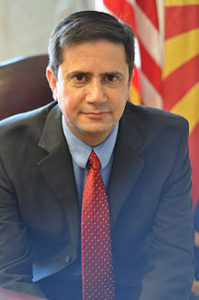 The founding and current Director of the Arizona Center for Economic Progress is attorney, child advocate, educator (he was a founding principal for ASU Preparatory Academy), former State House Democratic Leader and State Senator David Lujan. On December 18, Mr. Lujan sat down with Blog for Arizona to discuss the purpose of the Center, its accomplishments and impact, and what projects it would like to pursue over the next two years. 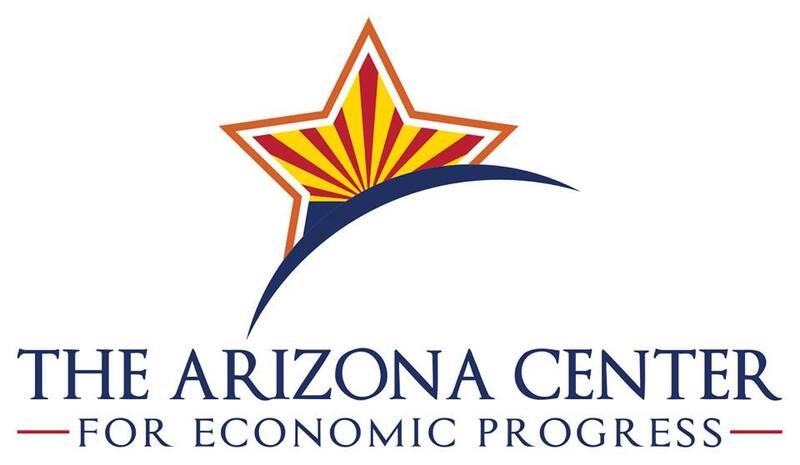 Please tell the readers the purpose of The Arizona Center for Economic Progress? Please describe at least two ways this organization is different from other progressive organizations? What were at least two policy/electoral areas from 2017 and 2018 that your organization successfully participated in helping to make law? “Blocking $200,000,000 worth of tax cuts in 2018 with help from (organizations) like Red for Ed such as a capital gains bill that would have primarily benefited 800 millionaires. We brought attention to how tax cuts are draining revenues for education. This also played a big role in Red for Ed”. What were at least two policy/electoral areas from 2017 and 2018 that your organization was not able to help make law? Will your organization be developing a New invest in Ed proposition? “We are working with a number of organizations (including some that worked on Red for Ed). We want the legislature to refer something to the ballot. We want a measure that is preferably not regressive. If the legislature is unwilling, we are prepared to get signatures. The biggest criteria are not to rely solely on regressive sales taxes. It (Invest in Ed) would have passed if it stayed on the ballot before the court took it off. We would work towards (putting the proposition on the ballot) in the 2020 election. We are not going to wait until the last minute. 4) Combatting Poverty: “Everything we do is to reduce that like funding post-secondary (start funding the community colleges, to begin with.) The first step is to restore state funding and make post-secondary education more affordable without going to debt. We also want to promote justice reform and (end the) cycle of incarceration by going after the private prison system and their lack of incentive to rehabilitate. 6) Revenue “In the long term, we need to address the pitfalls of Proposition 108 and asking voters to revisit it because it ties the hands of the legislature to address the priorities of the legislature. 7) To what extent have other local and statewide candidates subscribed to the ideas offered by the Center? Mr. Lujan and his team at the Arizona Center for Economic Progress have correctly emphasized issues such as child poverty, affordable health care and postsecondary education, growing inequality, social groups and classes being left behind (even in a good economy), and the need to revitalize our states rural areas that many have not given proper attention. All public servants who want to study more of these issues and examine potential solutions should visit the centers’ website at https://www.azeconcenter.org/ to learn more about this organization and use its staff and resources to help formulate their ideas to make Arizona a better place for everyone.